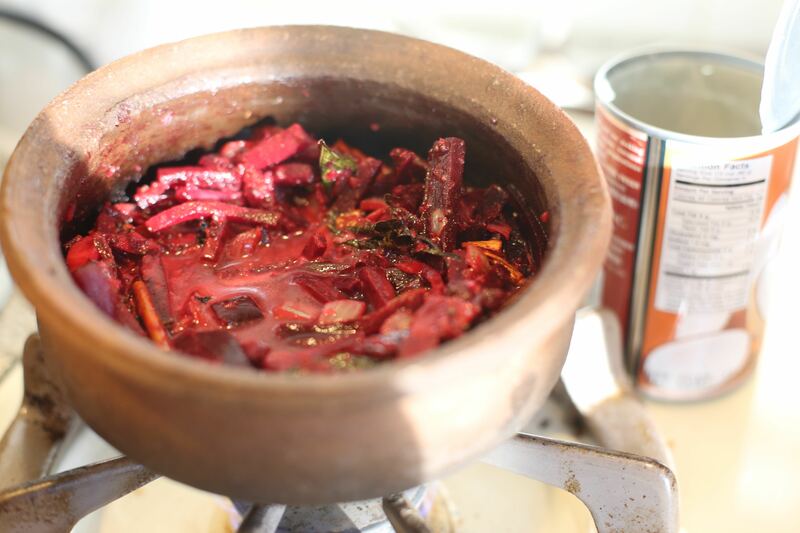 I still remember walking into my grandmother’s kitchen and finding my Aunty chopping beetroot. I was fascinated by the red stains it left on her hands. She tried to convince me it was blood, I wasn’t so easily fooled. Besides, I remember I was wearing my twirly dress and being able to twirl out of the kitchen and back outside. 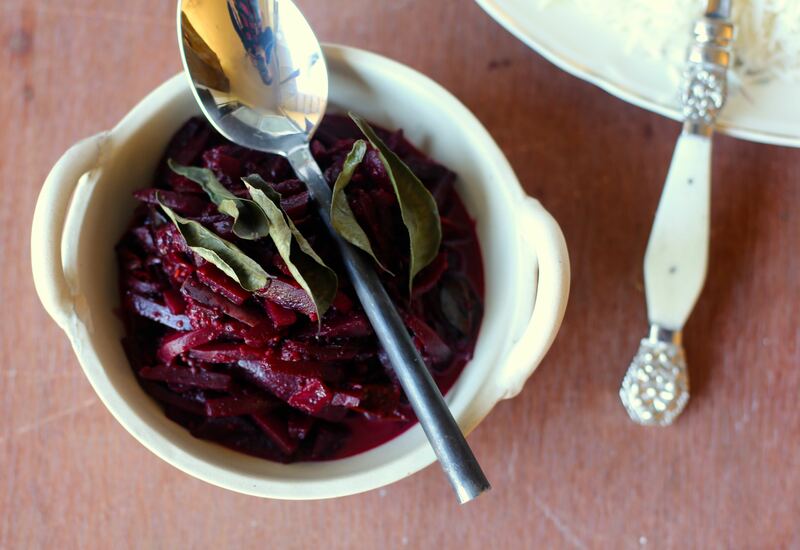 Beetroot has always been a favourite of mine. Not least because of the lovely red colour it stains your rice. Beetroot curry feels uniquely Sri Lankan to me, I’ve never seen it in any other cuisines. Feel free to adjust the level of gravy in this curry, you can simmer it a little longer to make a drier curry or add more than the recommended coconut milk to make more gravy for spooning over your rice. In small to medium pot heat the oil and add the mustard seeds. Once they begin spitting add the cinamon and curry leaves . This should render the oil lovely and fragrant. At this point add the onions and garlic and cook until they are soft. To the softened onions add the the curry and chilli powder and cook until the rawness of the curry powder is gone. The curry powder will smell lovely and fargrant when it is ready. Now add the beetroot and coconut milk and stir well until all the ingredients are combined. Simmer on a medium heat until the beetroot is tender, it should still have a little bite. Season with salt and adjust as necessary. Serve hot with lots of steamed white rice. Thanks. We lugged it all the way from lanka and it did very well to survive! Not at all! Comments about my crockery rate only slightly less than comments about food. I found this dish at Paradise Rd in Colombo a couple of years back!